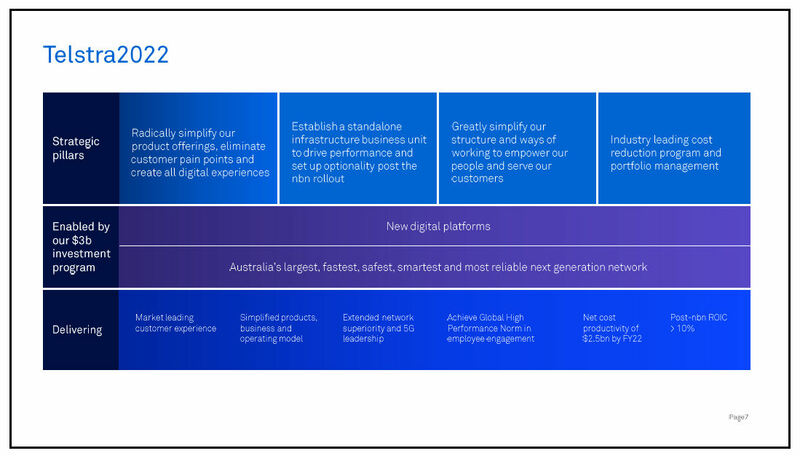 Australian operator group Telstra saw its annual profits fall by 9% thanks, at least in part, to the costs incurred in the rollout of NBN. 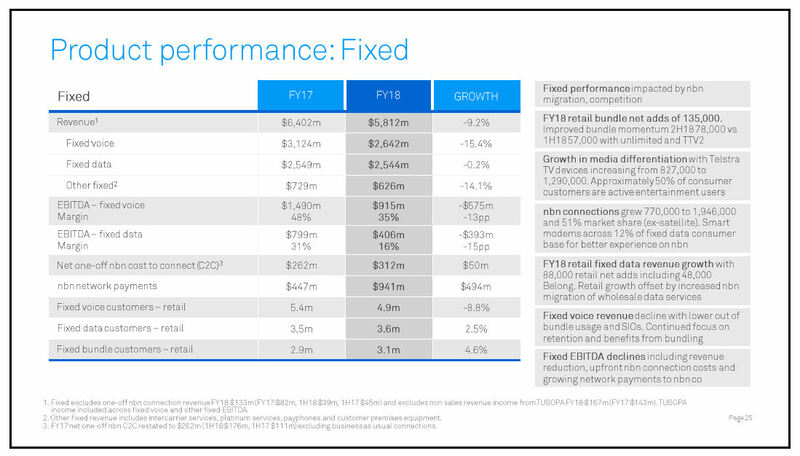 State-run telecoms wholesaler NBN has apparently started charging operators more to use its network, which at least provides them with a handy scapegoat when the numbers go in the wrong direction. 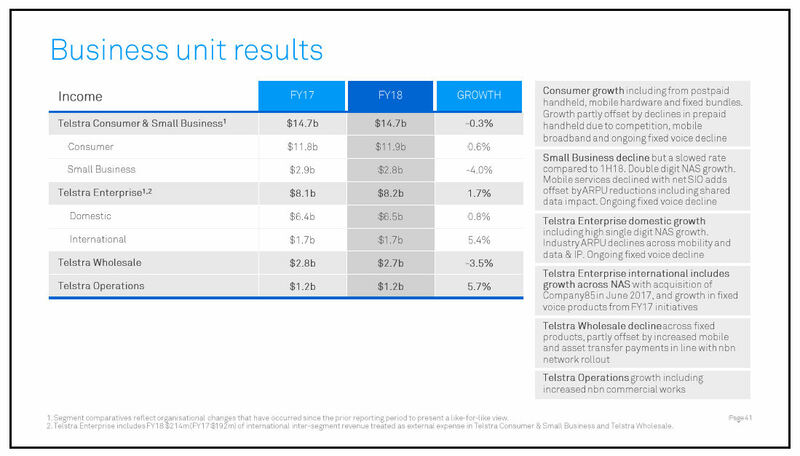 To be fair to Telstra revenues were up 3% for the 2018 financial year so clearly overheads took a sharp turn for the worse. 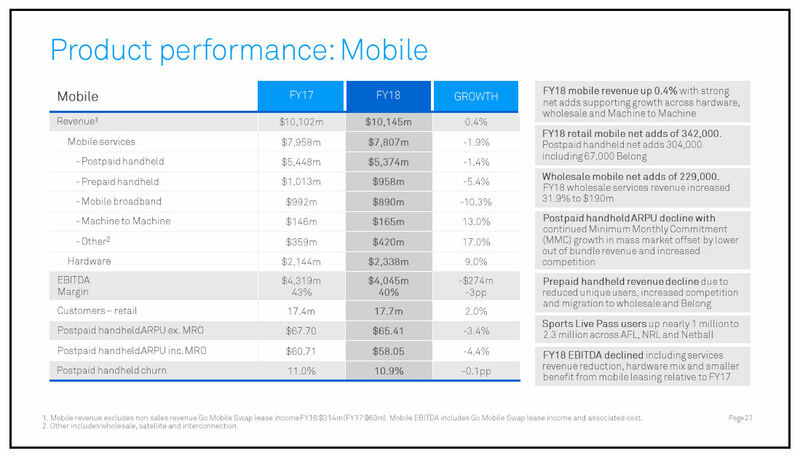 Penn was keen to stress how much of this increased overhead is also down to investment, inevitably playing the 5G card to illustrate his point. “Yesterday we announced we had switched on 5G technology across selected areas of the Gold Coast, making us the first in the country to be 5G ready, and we expect to have more than 200 5G-capable sites live around the country by the end of 2018,” he said. 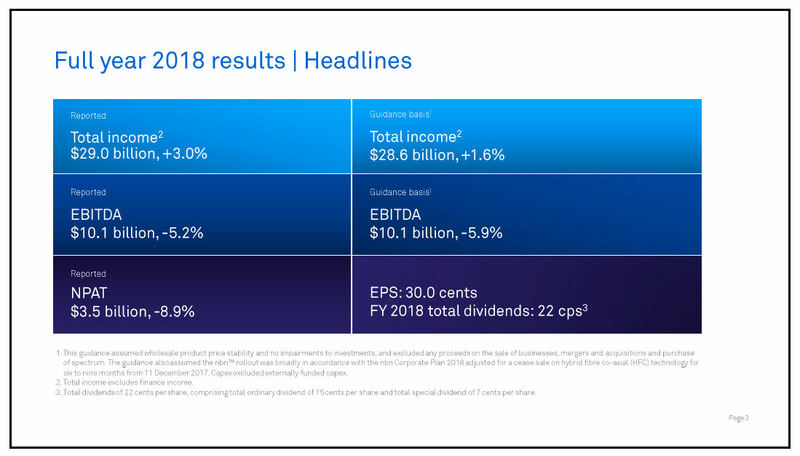 Here are some slides from the investor presentation and you can read further analysis of these numbers at Light Reading here.